Geelong City Yoga: Expertise and Experience. Beginners through to teacher development. Strengthen your body, build flexibility and vitality, develop clarity and mindfulness. Geelong City Yoga is a long-established school, with a fully equipped studio and highly qualified and experienced teachers. We offer classes for all levels, from complete beginner to advanced students, as well as specific programs for corporate clients and other private groups. At Geelong City Yoga, you’ll find a class to suit your needs, including yoga foundation, advanced classes, specialty classes such as men's yoga, and lunchtime classes. 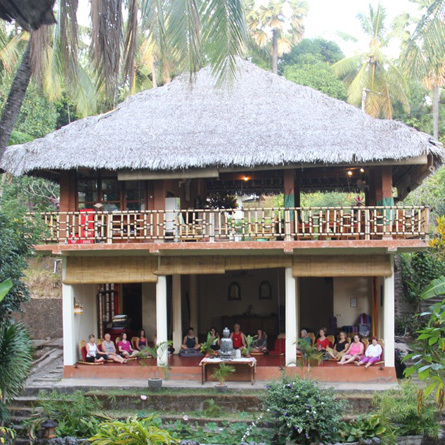 Our workshops and retreats give you the time and space to concentrate on particular aspects of yoga and mindfulness. Create the opportunity to connect deeply with yourself. Build your team’s wellbeing with Geelong City Yoga. Supporting the whole person is the key to an engaged, resilient and productive workforce or group. Geelong City Yoga offers yoga and mindfulness classes for all levels. Established in 2004 by Tim Oddie as Geelong's first dedicated, fully equipped yoga studio Geelong City Yoga has the expertise and experience to help you safely develop a powerful and meaningful yoga practice whether you are new to yoga, an advanced student or are even a recently qualified yoga teacher. As well as our ongoing weekly classes held in Geelong we offer specialty classes, private and group classes, workshops and retreats both locally and internationally.